Almost everything you do online is being observed by someone. Private and state-sponsored organizations are monitoring and recording the websites you visit, how long you stay at those websites, what you say on social media, who you send email to, the content of those emails, and more. Find what steps you can take to protect yourself and your privacy here at Privacy Australia. Why should I care about my privacy? I’m not saying anything that anyone should care about and I have nothing to hide. For those who have nothing to hide, we have a special request. We know someone who would like you to send him all of your email addresses and their associated passwords. Not just the ones that you use at work. He would like all of your personal email addresses and passwords too. He will take a look through your email accounts, and if he finds anything that he feels others should know about, he will publish it online for you. So far we haven’t had anyone who wanted to fulfil this request. The Fourteen Eyes is the name of a group of countries that share intelligence with one another. This group consists of Australia, Canada, New Zealand, the United Kingdom, the United States, Denmark, France, the Netherlands, Norway, Belgium, Germany, Italy, Spain, and Sweden. Within this group is a subset called the Five Eyes. The countries that make up the Five Eyes – Australia, Canada, New Zealand, the United Kingdom, and the United States, have made an agreement with one another called the UKUSA Agreement. Under the terms of this agreement, the nations that make up the Five Eyes have agreed to work together to collect, analyse, and share intelligence from different parts of the world. They have also agreed not to spy on each other as adversaries. Even though they have made this agreement, leaks from Edward Snowden revealed that some members of the Five Eyes do in fact spy on each other’s citizens. They also avoid breaking domestic laws against gathering intelligence about their own citizens by gather intelligence about one another’s citizens and sharing it with each other. The Nine Eyes consists of the countries in the Five Eyes along with Denmark, France, the Netherlands and Norway. The member countries of the Five Eyes share intelligence with the members of the Nine Eyes and Fourteen Eyes. The members of the Five Eyes and third party member countries (those that are in the Nine Eyes and Fourteen Eyes, but not in the Five Eyes) spy on one another. The surveillance programs in the US, along with the use of National Security Letters (NSLs) and associated gag orders, give the US government the freedom to secretly force companies to hand over access to their customer’s telecommunications and financial records. The government can use this access to spy on those customers. The gag orders that are associated with the NSLs prohibit the recipient of this type of request from talking about it. This is why you should avoid US based services. This scenario took place with a company called Ladar Levison and their secure email service called Lavabit. After the FBI found out that Edward Snowden used this service, they requested that Ladar grant them access to Snowden’s records. Since Lavabit did not keep logs and since it encrypted its customer’s email content, Lavabit could not fulfill the FBI’s request. The FBI responded by serving a subpoena (with a gag order) for Lavabit’s SSL keys. With the SSL keys, the FBI would have access, not only to Snowden’s records but to all real-time communications (both metadata and unencrypted content) for all of Lavabit’s customers. Levision wasn’t able to win this battle. They gave the SSL keys to the FBI and discontinued Lavabit. In response, the US government accused Levision of violating the subpoena and threatened to arrest Levision. Levision restarted Lavabit and developed a new email standard called DIME – Dark Internet Mail Environment. DIME is a standard for end to end encrypted email. Lavabit currently offers DIME encrypted email services to consumers and businesses. Visit our home page to see our full list of recommended VPN Services in Australia. The provider supports OpenVPN software. The provider supports alternate forms of payment including Bitcoin, cash, debits cards or cash cards. To open an account, the provider requires no information other than a username, password, and email. We are not affiliated with any of the VPN providers listed here, nor do we receive any compensation for listing them. Click here to view a comparison chart containing information on over 150 companies that provide VPN services. Discuss this chart on Reddit. Is Your VPN provider really keeping your data private? (Note: the first providers listed are sponsors of this site). When choosing a VPN provider, watch out for VPN companies that pay for advertising and fake reviews. (Note: this is great article, but the site promotes itself in the piece). VPN provider spies on its own customers to stop hacker. Proxy.sh explains their Ethical policy and what type of scenario might cause them to monitor their servers. IVPN collects the email address and IP address of customers after they sign up. Read their email statement in response. blackVPN will no longer keep connection logs with timestamps when customers connect and disconnect from their services. They will now delete that information when a customer disconnects. Avoid the LT2P/IPSec Protocol. Select a different one instead. A warrant canary is a notice that informs users of a service that the service provider has not been served with a warrant or secret subpoena. If the warrant canary is removed or if it ceases to be updated, users of the service should assume that the service provider has been served a warrant or secret subpoena, and the users should stop using the service. A list of companies that maintain warrant canaries. Bruce Schneier, an internationally renowned security technologist, criticizes warrant canaries in an article on his blog. Tor Browser is a free and open source web browser that enables access to the Tor network. The Tor Browser and Tor Network help to keep you from being tracked by sending your data through a distributed network of servers. Brave is available for Windows, macOS, Linux, Android, and iOS. 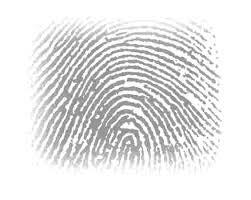 Make Sure Your Browser Is Not Leaving Fingerprints As You Browse The Web. When you visit a website, your browser is telling a story about you to the owners of those websites. It is sharing information such as what browser you are using, what plug-ins your browser has installed, what time zone you are in, what type of device you are using at the time, and so on. If the set of data that the browser passes on about you is unique, then you can be tracked and identified even without cookies. [Panopticlick] is a tool that will show you how unique your browser configuration is. An easier way to keep your browser from uniquely identifying you is to use plugins like Privacy Badger, uBlock Origin, and Disconnect. These plugins will help you to keep your identity private. Peter Eckersley, Chief Computer Scientist for the Electronic Frontier Foundation, discusses fingerprinting, how it threatens privacy, and what can be done to prevent it. Links to Firefox privacy add-ons. BrowserLeaks.com – A suite of web testing tools that can show you what type of information is available about you when you surf the internet. While software like NoScript prevents this, it’s probably a good idea to block this protocol directly as well, just to be safe. In short: Set “media.peerconnection.enabled” to “false” in “about:config”. How to disable WebRTC in Google Chrome. How to disable WebRTC in Chrome on iOS, Internet Explorer, or Safari. Chrome on iOS, Internet Explorer, and Safari do not use the WebRTC protocol at this time. Our recommendation is that you use Firefox on all of your devices. The following add-ons need to be configured properly before they will work with your browser. Privacy Badger stops non-consensual tracking. If an advertiser or a third-party tracker is tracking your movements online without your permission, Privacy Badger will prevent them from serving content to your browser. Privacy Badger has one limitation that you should be aware of. It does not block Google Analytics. To block Google Analytics you need to use a blocker like uBlock Origin. Privacy Badger works with Firefox, Opera, and Chrome. uBlock Origin is more than an ad blocker. It is a wide-spectrum blocker. By default, it blocks ads, trackers, and malware sites. It can also block 3rd party scripts and frames depending on what settings you choose. uBlock Origin works with Chromium, Firefox, Microsoft Edge, and Safari. When you close a tab, Cookie Delete automatically deletes any cookies that are not in use. This add-on is available for Firefox and Chrome. HTTPS encrypts the communication between you and websites that support HTTPS. HTTPS Everywhere is available for Firefox, Firefox for Android, Chrome, and Opera. Decentraleyes eliminates the need for your browser to load certain files from third-party services like Google Hosted Libraries and jQuery CDN. This add-on comes with several commonly used files, and when your browser needs to access one of them, Decentraleyes will load it locally, which prevents your browser from making a call externally for the file, and at the same time protects your privacy. Decentraleyes is compatible with content blockers like uBlock Origin and Adblock Plus. It is available for Firefox. Source code available at GitHub. We recommend that if you use Firefox that you use one or more of the following add-ons to protect your privacy. uMatrix lets you determine exactly which sites your browser can connect to, what type of data your browser can download, and what functions your browser can perform. This add-on is recommended for advanced users. All providers listed here are operating outside the US and support SMTP TLS. The table is sortable. Never trust any company with your privacy, always encrypt. gpg4usb.org – a free, open source, portable text editor that enables you to encrypt and decrypt text messages and files. Mailvelope – a browser extension for Chrome and Firefox that enables the user to encrypt email sent through services like Gmail, Yahoo mail, and Outlook. It encrypts messages using OpenPGP. Enigmail – an add-on for Thunderbird and SeaMonkey. It uses OpenPGP for encryption, decryption, digital signatures, and verification of email messages. TorBirdy – an extension that enables Thunderbird users to connect to the Tor network. Email Privacy Tester – This tool runs several tests to see if your email client is compromising your privacy. If your email messages are stored in the cloud, they may not be as private as you think. The Electronic Communications Privacy Act (ECPA), which at one time protected the privacy of email messages stored on servers, has not kept pace with technology. Email that has been stored on a server for longer than six months is considered abandoned and the government can search it. This article takes a look at how this affects the privacy of your data when it is stored in the cloud. FBI seizes server of progressive ISP – An update to the FBI seizure of a server from May First/People Link and Riseup. 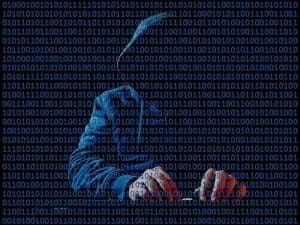 Police investigation causes server to become compromised – the Italian Postal Police used an investigation into one mailbox to spy on all communications going through the Autistici/Inventati server. Thunderbird is a free, open source email client developed by the Mozilla Foundation. It supports real-time chat, web searching, and the Do Not Track option. Thunderbird is available for Windows, macOS, and Linux operating systems. Claws Mail is a free email client based on GTK+. Users can use plugins for Claws Mail to read RSS and Atom newsfeeds, PDF attachments, and more. Claws Mail is included with Gpg4win, an encryption application for Windows users. Claws Mail is available for Windows, macOS, Linux, BSD, Solaris, Unix and other operating systems. K-9 Mail – an open source email client for Android. It has many features including support for push IMAP, WebDAV, and multiple identities. GNU Privacy Guard – free, open source software based on OpenPGP. It enables users to encrypt and sign data and email communications. It is a command line tool that can be integrated with several different mail readers and graphical user interfaces to make it easier to use. MailPile – a free, open source application that works as an email client, a search engine, and a personal webmail server. It uses OpenPGP for email encryption and signatures. I2P-Bote is a plug-in for the I2P network. It keeps your email messages private by providing automatic encryption and digital signatures, and by storing your email in a distributed hash table instead of on a server. I2P is available for Windows, macOS, Linux, Debian, and Android operating systems. Bitmessage is a decentralized, peer to peer communications system that simplifies the process of sending encrypted email messages by not requiring its users to use keys. Bitmessage is free, open source, and is available for Windows, macOS, and Linux. Retroshare is free, open source software that allows the user to create your own secure, anonymous, and decentralized network. You can use it to only connect to people you know and trust. RetroShare can be used for forums, messaging and VoIP. RetroShare is available for Windows, macOS, and Linux. To maximize your privacy when searching the internet you should select one of the search engines listed here. Searx is a metasearch engine. When you type a query into its search box and hit return, the results will be a combination of results from several search engines. Searx protects your privacy by not collecting or storing information about you or your searches. StartPage provides search results from Google and protects your privacy at the same time. To protect your privacy they don’t record your IP address, they don’t collect personal information about you, and they don’t place identifying cookies on your browser. Each search result comes with a proxy option that allows you to visit websites anonymously. DuckDuckGo is a search engine that uses over four hundred sources to provide you with the best answers to your inquiries. When you search using DuckDuckGo, your personal information is not stored, and you are never tracked. Qwant – Qwant is a search engine based in France. Qwant protects the privacy of its users by encrypting their search queries and by not tracking them or recording their searches. MetaGer – MetaGer is an open source search engine based in Germany. To protect the privacy of its users, MetaGer doesn’t save IP addresses, doesn’t track its users, encrypts data transmission, and offers a proxy server so that search results can be viewed anonymously. ixquick.eu – ixquick.eu is a metasearch engine that excludes results from Google and Yahoo. It is maintained by the same company that runs Startpage.com. It offers results by proxy and does not record information about you or place cookies in your browser. If you are using WhatsApp, Viber, LINE, Telegra, or Threema, or a similar instant messenger application, you should switch to an encrypted service, like the ones listed here, to protect your privacy. Signal is a free, open source application that lets you send group, text, voice, video, document, and picture messages anywhere in the world. Messages and calls sent with Signal are encrypted from end to end. You can also set your messages to disappear at a time you choose. Signal is available for Android, iOS, Windows, macOS, and Debian-based Linux. Wire is a messaging app based out of Switzerland. You can use Wire for chat, phone calls, pictures, music, video, and images. Everything sent throughWire is encrypted end-to-end. One word of caution: Wire will keep a list of all people you contact until you delete your account. Wire is free for personal use. Wire is available for Android, iOS, Windows, macOS, Linux and web browsers (Chrome, Firefox, Edge, and Opera). Ricochet is a free, open source messaging service that operates over the Tor network. Every message sent through Ricochet is anonymized and encrypted end-to-end. Ricochet is available for Windows, Mac, and Linux. a free, open source messaging app for iOS. It offers end-to-end encryption through OMEMO and OTR over XMPP. a free, open source application that uses the OMEMO protocol for encryption. 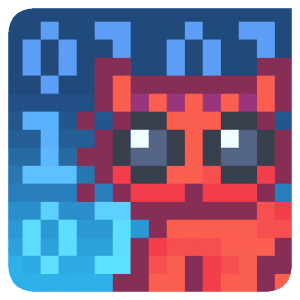 Cryptocat is available for Windows, macOS, and Linux. Kontalk is an open source messaging app that operates over a distributed network run by volunteers. It uses XMPP to encrypt client to server and server to server communications. Kontalk is available for Android, macOS, Linux, and Windows. Ricochet passes professional security audit and demonstrates that they are serious about security. 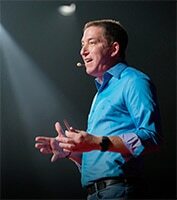 How to communicate online without being watched or tracked. A link to download the Signal APK if you are an advanced user with special needs. Not recommended for regular users. Wire stores a list of all customer contacts until the customer account has been deleted. An audit demonstrates that the Telegram messaging app is not IND-CCA secure. A reddit discussion thread about Telegram and whether or not it is actually private as advertised. 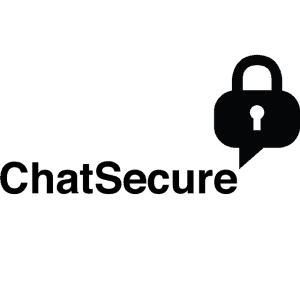 If you are a Skype, Viber, or Google Hangouts user, you should switch to an encrypted service, like the ones listed here, to protect your privacy. Signal is a free, open source application that lets you send group, text, voice, video, document and picture messages anywhere in the world. Messages sent with Signal are encrypted from end to end. You can also set your messages to disappear at a time you choose. Wire is available for Android, iOS, Windows, macOS, Linux and the web. Linphone is an open source VoIP application that uses the SIP protocol for voice and video calls, instant messaging, and file sharing. Linphone offers end-to-end encryption through zRTP, TLS, and SRTP. Linphone is available for Android, iOS, Windows10 mobile, macOS, Windows for the desktop, and Linux. a set of free and open source applications made for secure online videoconferencing. Jitsi for the desktop offers chat, desktop sharing, file transfer and support for instant messaging. a free, open source, distributed, peer-to-peer voice and video messaging application that offers end-to-end encryption. Tox is available for Windows, macOS, Linux, iOS, Android, and FreeBSD. a free, distributed application for video, voice, and instant messaging that offers encryption. Ring is available for Linux, Windows, macOS, and Android. OnionShare is a free, open source application for sharing files of any size. It enables its users to share files anonymously and securely through the Tor onion service. It generates a secret URL that has to be accessed for the recipient to download the file. OnionShare is available for Windows, MacOS, and Linux. Magic Wormhole is a command line file sharing tool. It was designed to avoid the complexities of other encrypted file sharing systems. It protects the privacy of its users through a PAKE (password authenticated key exchange). If you are using Dropbox, Google Drive, Microsoft OneDrive, Apple iCloud, or a similar service to store your data in the cloud, you should switch to service that protects your privacy, like the ones listed here. Seafile is a file storage application that offers built-in file encryption and file syncing. Users can supply their own server or use the Seafile cloud service to store files. The Community Edition, which is for users providing their own servers, is free. The Pro Edition, which is for customers whose files are hosted by Seafile’s cloud service, is free for up to 3 users. Both the Community Edition and the Pro Edition provide two-factor authentication. The Pro Edition also offers remote wipe, an audit log, and antivirus integration. The client software is available for Windows, macOS, Linux, iOS, and Android. The server software is available for Linux, Raspberry Pi, and Windows. NextCloud is a file storage application that allows its users to securely store their data at home, on a server of their choice, or with one of NextCloud’s service providers. NextCloud is free and open source. NextCloud is available for Windows, macOS, Linux, Android, iOS and Windows Mobile. Least Authority offers a cloud storage service called S4 (Simple Secure Storage Service) for individual customers. S4 provides client side encryption for stored files. Your data can be accessed either through Gridsync (a graphical user interface) or through a command line interface. The service costs $25 per month. Gridsync is available for MacOS, Linux, and Windows. Muonium – Muonium is a free, open source cloud storage provider that offers anonymity and end-to-end encryption for your files. If you are using Dropbox, Google Drive, Microsoft OneDrive, Apple iCloud, or a similar service and you would like to host a cloud server yourself, take a look at these options. The client software is available for Windows, MacOS, Linux, iOS and Android. Available for Windows, MacOS, Linux, Android, iOS, or through the web. LAFS stands for Least-Authority File Store. Tahoe-LAFS is a cloud storage system that is free and open source. It works by encrypting your communications and distributing them over several servers. LAFS is the system used by Least Authority S4. NextCloud – NextCloud is a file storage application that allows its users to securely store their data at home, on a server of their choice, or with one of NextCloud’s service providers. NextCloud is free and open source. Sparkle Share is a free and open source file syncing application. It offers both client side and server side encryption. Syncany is an open source cloud storage and file sharing application that synchronizes your files to whatever type of storage you have. Your files are encrypted before you upload them. Syncany is not being actively maintained. Syncthing is a free and open source decentralized file sharing application that enables you to store your data where you want. It protects your privacy by encrypting all of your communications with TLS. No central server is ever involved in transporting or syncing your data. git-annex – git-annex is a command line application that allows you to synchronize your files with git. If you are uncomfortable with using the command line, you can use git-annex assistant which comes bundled with git-annex. If you are currently using 1Password, LastPass, Roboform or iCloud Keychain to manage your passwords, we recommend that you look for a more secure alternative here. Master Password is an open source free software application that works by algorithmically generating your passwords as you need them. Your privacy is protected with this solution because your generated passwords aren’t saved on your device, and they aren’t sent over the network. Master Password is available for iOS, MacOS, Android, Windows, Linux, and the Web. LessPass is a free, open source application that was developed to make password management easier. LessPass works by computing passwords instead of generating and storing them. It never stores your passwords in a database and it doesn’t need to sync to your device to work. It uses PBKDF2 and sha-256. Available for Windows, MacOS, Linux, Android, Firefox, and Chrome. Secure Password Generator – An online tool that generates strong and random passwords. All password generation is done in the browser. SuperGenPass – a free, open source password generator that runs in your browser. It transforms your master password into a unique password for every site that you visit. Your passwords are never stored or transmitted. Password Safe – a free, open source password application that let you manage your existing passwords and generate new passwords according to your own rules. With Password Safe, you store your passwords in one or several encrypted databases. Designed with love by security expert Bruce Schneier, we strongly recommend using PW Safe if you want to support the open source privacy tools movement. John Oliver of Late Week Tonight and Edward Snowden discuss passwords (Youtube). Key disclosure laws determine the conditions under which an individual is compelled to give encryption keys to law enforcement officials. The laws differ in each country, but most countries require a warrant. Steganography and data encryption methods that ensure plausible deniability are two of the ways that individuals can use to defend themselves against key disclosure laws. Steganography refers to hiding one message, image, or file inside of another message, image, or file. For the purposes of our context, the message being hidden is usually one that contains encrypted information. To ensure plausible deniability, the message that is hidden would have to be encrypted in such a way as to prevent an adversary from being able to prove that the hidden message exists. *if an individual, other than the suspect or the family of the suspect, knows how to access a system, the individual may be required to share what he or she knows. An in-depth look at Key disclosure laws from Wikipedia. Answers to a question about key disclosure laws at Law Stack Exchange. Maria Hoffman, Senior Staff Attorney for the Electronic Frontier Foundation, speaks about key disclosure laws and forced decryption at DEFCON 20. If you do not currently encrypt your hard drive, email records, or file archives, we recommend that you use one of these encryption applications. Cryptomator – a simple, free, open source file storage application that enables you to encrypt file content and names with AES. miniLock – an audited, peer-reviewed file encryption addon for Google Chrome and Chromium. AES Crypt – a file encryption application based on the Advanced Encryption Standard. It is simple to use and after installation it only requires clicking on a file and entering a password to use. Available for Windows, Mac, Linux and Android. DiskCryptor – an open source file encryption application that can be used to encrypt some or all disk partitions on a disk drive. Supports AES, Twofish, and Serpent. Runs on Windows. VeraCrypt is a free, open source application based on TrueCrypt 7.1a. It can create a virtual encrypted disk, it can encrypt a partition or storage device, it operates in real time, and it is designed to provide plausible deniability. Free, open source software based on OpenPGP. It can be used as a command line tool or it can be used with front end applications. It encrypts and signs data and email communications. Available for Windows, Vista, and Linux. PeaZip is a free, open source utility for managing files and creating file archives. It supports over 180 different file formats. PeaZip includes several methods for securing your data including encryption using AES, Twofish, or Serpent, an encrypted password manager, two-factor authentication (optional, not required), and secure delete and file hashing tools. Available for Windows, MacOS, Android, and Debian. If you want to access content on the Dark web, browse the information in this section. The Tor network enables its users to bypass the Surface web through its network of volunteer operated servers. Tor distributes your communications among several relay connections to protect your identity. The I2P network is an overlay network that allows its users to communicate anonymously. All communication taking place with the network is encrypted end-to-end. I2P supports email, web browsing, website hosting, instant message, blogging, forums, and file storage. Freenet is a decentralized, distributed network. Files and communications are encrypted, and nodes are anonymized on Freenet. Users can share files, publish websites, and chat on forums. ZeroNet – A peer to peer network using the BitTorrent network and Bitcoin cryptography. Retroshare – free, open source software that allows the user to create a secure, anonymous, and decentralized network to send encrypted communications. GNUnet – a suite of tools and applications for building decentralized applications that protect privacy. IPFS – a peer-to-peer file distribution system. The goal of IPFS is to replace HTTP and make the internet more efficient and cost effective. [Link to privacy warning]. If you are currently using Facebook, Twitter, or Google+, we recommend that you look for a more secure social media alternative here. diaspora is a decentralized social network that is run off of servers (which they call “pods”) all over the world. To join diaspora you need to find a pod and register with it. In diaspora you can keep your identity private, and you choose who sees your information. Friendica is a decentralized social network that supports the diaspora protocol. Users can communicate with users at Friendica and also with users at diaspora and Hubzilla. Friendica also supports bidirectional communication with Twitter, App.net, GNU Social, and Mail. GNU Social was developed as a social media application that lets its users control their own data and maintain their contacts. GNU Social was developed from Status Net. Mastodon – a free, open source, decentralized social network. It is based on GNU Social. Delete your Facebook account – Visit this link to delete your Facebook account permanently. A Guide to Deleting your Facebook account – Step-by-step instructions for getting rid of your Facebook account. DNSCrypt is a free and open source domain name protocol that prevents domain name spoofing. DNSCrypt uses cryptography to make sure that communications coming from a specific DNS resolver are authentic and have not been modified or altered. Available for Windows, MacOS, Linux, Android and iOS. OpenNic is a user owned alternative to domain name registries like ICANN. They offer several unique top level domains (including .bbs, .chan, .indy, and several others) not available through other registries. In addition, if you meet their requirements, you can propose and host your own TLD through their service. NoTrack – NoTrack is a DNS server that protects your privacy by overriding tracking requests from over 10,000 tracking domains. It can also be used to block ads. Available for Linux. NameCoin – NameCoin is a free and open source application based on bitcoin that powers the .bit TLD. If you are currently using Evernote, Google Keep, or Microsoft OneNote, we recommend that you look for a more secure note taking application here. Laverna is a free, open source note taking application that offers a markdown editor, a distraction free mode, and the ability to encrypt your notes. You can use it with your Dropbox or RemoteStorage accounts. Available for Linux, MacOS and Windows. Turtl is a free, open source application for taking notes, saving documents, bookmarking sites, keeping photos, and more. It uses cryptographic keys to protect your data. You can use the hosted Turtl or run your own Turtl server. Available for Windows, MacOS, Linux, and Android. Standard Notes is a free, open source note taking application designed to be simple and private. It uses AES-256 to encrypt your notes and offers automatic syncing, web access, and offline access. Users who want extra features can subscribe to their Extended service which offers full access to their extensions and automated backups to cloud storage. Paperwork – a free, open source note taking application. To use it you need a server with Linux, Apache, MySQL and PHP. Ghostbin is a free, open source paste service. You can encrypt individual pastes, set an expiration time for a paste, or create an account to save your pastes. Pastes can be up to 1 MB in size. Ghostbin supports several text formats and over one hundred computer languages. Disroot – Disroot offers a suite of secure services including a PrivateBin pastebin. Hastebin – Hastebin is an open source pastebin application. You can use it on the web, or download the code and run it on your own server. Etherpad is a free, open source text editor. You can use it alone, or edit an Etherpad document in realtime with a group. You can install Etherpad on your own server, or use it through one of several publicly available instances. EtherCalc is a free, open source spreadsheet application. You can use it alone, or collaboratively. You can use the version available at the website, or install it on your own server. 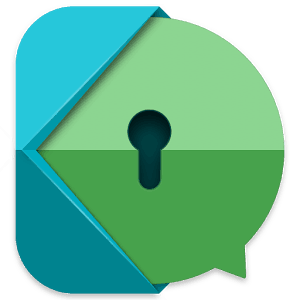 Protected Text is a free service that allows users to store encrypted notes. Protected Text encrypts text in the browser. They don’t track users and don’t serve ads. The service does not require registration to use. Users choose a name for their file and save it with a password when they are finished. Disroot – Disroot offers a suite of secure services including Etherpad and EtherCalc. Dudle – A free, online polling and scheduling application. It doesn’t require registration to use. If you are currently using Microsoft Windows or Apple’s OSX, we recommend that you look for a more secure operating system here. Qubes OS is a free, open-source operating system designed as a secure alternative to other operating systems. The Qubes approach to security is “security by compartmentalization.” The various tasks that you perform on your computer are separated into “qubes” that are separated from each other. This way if one qube gets compromised by malware, it cannot compromise the other qubes. Debian is a free, open source operating system created by members of the Debian Project. Debian systems use Linux or FreeBSD to run. Debian comes with over 51,000 free software applications. You can install Debian from a CD, you can download it online, or you can buy a computer with Debian preinstalled. Trisquel is a free operating system based on Linux. There are several editions available depending on what your needs are. It was originally developed to provide an operating system that supported the Galician language. If you want to preserve your privacy, avoid Windows 10 at all costs. OpenBSD – a free operating system based in Canada that was designed to resemble UNIX. The goal of the developers is to be number one in security. Cryptography is embedded in several places in the OpenBSD OS. In addition, they have a security auditing team which has been auditing OpenBSD since 1996. Arch Linux – Arch Linux was designed to be the do-it-yourselfer’s version of Linux. The default installation contains only what is needed to operate the OS, and the user can modify it as needed. Parabola is a free, open source OS derived from Arch Linux. Whonix – Whonix is a free operating system based on Tor and Debian GNU/Linux. It was designed for security and privacy and accomplishes this by using the Tor network and an architecture that uses virtual machines. Subgraph OS – Subgraph was designed to be easy to use but difficult to attack. It comes with a kernel hardened with Grsecurity, it requires users to have encrypted filesystems, it restricts applications so that they only use the Tor network, and it comes with a secure instant messaging and a secure email client. Subgraph is based on Debian GNU/Linux. Tails is a free Debian GNU/Linux-based live operating system that can run off of a USB stick or a DVD. All software applications running on Tails that require internet access are forced to go through the Tor network to protect your privacy. Tails comes with cryptographic tools to encrypt your files and messages, and leaves no trace of itself on the computer where it is used. KNOPPIX is a free, open source live operating system based on Debian GNU/Linux. It can run from a CD, USB stick, or DVD. The CD version contains Open Office, LXDE (for the desktop), Firefox, GIMP, and MPlayer, and utility applications. The DVD contains the same software as the CD and includes additional applications for office productivity, engineering, education, and gaming. Puppy Linux is a free open-source operating system based on GNU/Linux. It is designed to be simple to use and fast to run. Like other live OS’s, Puppy Linux can be run from a USB drive, CD, or DVD. Because it is a small program (about 100 MB) it loads very quickly on most computer systems. Tiny Core Linux – Tiny Core is a live operating system designed to be tiny. Tiny Core is based on Linux. It is 10 megabytes and does not ship with end user applications. Using Google Apps with these operating systems may compromise your security. We recommend that you install MicroG on your device as an alternative. LineageOS is a free and open source alternative operating system for smart phones, phablets, and tablets running Android. It was originally developed from CyanogenMod. CopperheadOS is a mobile operating system designed for security and privacy. The free version of CopperheadOS supports Nexus 5L and 6P. The paid version of CopperheadOS supports Pixel and Pixel XL. Some of the security features included with CopperheadOS include full disk encryption at the filesystem layer and separate disk encryption keys for each user of a particular device. SailfishOS is a mobile operating system designed to be compatible with Android devices and chipsets. Sailfish is based on Linux with its core based on the Mer Project. Its user interface was developed with the QML language. Replicant – a mobile operating system that is a modification of LineageOS and that had been designed with extra security and privacy features. OmniROM – a free mobile operating system designed to be an alternative to Android. MicroG – A collection of software programs designed to replace Google’s Android apps and libraries. OpenWrt is a free and open source GNU/Linux distribution designed for routers and other embedded devices. Its architecture allows you to add privacy features such as stateful packet inspection and intrusion detection for a low cost. pfSense is a free, open source software application based on FreeBSD. It is designed to be used as a firewall and router and can be managed through a web interface. You can use pfSense with hardware available from Netgate, or you can purchase your own hardware to use with pfSense. LibreCMC is a collection of free GNU/Linux based embedded operating systems designed for routers and small single board computers. OpenBSD – a free operating system based in Canada that was designed to resemble UNIX. OpenBSD runs on Ubiquiti Networks EdgeRouters. DD-WRT – free and open source firmware developed for several IEEE 802.11a/b/g/h/n wireless routers. DD-WRT does not require product activation and does not include tracking. Many of the new features included with Windows 10 are being used to track you. your browsing history, URLs you have typed, your favorites. Wifi hotspot names and your passwords for them. Windows 10 tags your device with a unique advertising ID. This setting is on by default. The unique ID is used to serve customized advertising to you. Microsoft can share your data with or without your consent. This application makes it easy to change the settings in Windows 10 that are related to your privacy and the data that Microsoft collects about you. Information and links to help you protect your privacy even if you use Windows 10. WindowsSpyBlocker – an open source application to stop Windows from tracking and spying on you. Windows 10 Privacy Tools – a link to an article at ghacks.net reviewing privacy tools for Windows 10. A guide for fixing the settings in Windows 10 so that you can maintain some privacy – from fix10.isleaked.com. A guide for turning off data logging in Windows 10 – from reddit. Links to articles that discuss how Windows 10 is violating your privacy. Windows 10 continues to violate the privacy of users that have disabled its data collection features. – Ars Technica. Protect Yourself from Surveillance – a guide from the Electronic Frontier Foundation containing tutorials, overviews, and briefings on how to protect yourself from electronic spying. Email Encryption – a guide from the Free Software Foundation on how to encrypt your email. A Guide to Internet Privacy – a series of privacy guides from IVPN. Security Now! – a weekly podcast covering personal computer security. TechSNAP – a weekly podcast covering systems, networking, and administration topics for people in the tech industry. Keybase.io – a free, open source security app for mobile and desktop devices. It is similar to Slack, but it provides end-to-end encryption. Freedom.press – Freedom of the Press Foundation is an organization that supports journalists and whistleblowers all over the world. Erfahrungen.com – a site that reviews privacy related services. The site is in German. TOSDR.org – a service that rates and summarizes the Terms of Service for various sites on the web. ipleak.net – web based tools that show you your IP addresses, your DNS address, your location, your system information, and other bits of data that are being collected about you. Privacy Testing Tools – The folks at ghacks.net have put together a list of tools that you can use to test your privacy. Prism-Break.org – A directory of resources for protecting your privacy online. SecurityinaBox.org – a guide to online privacy for human rights advocates. AlternativeTo.net – a database of over 64,000 software applications listed as alternatives to mainstream applications. Users get to rate the applications and leave reviews. SecureDrop.org – an encrypted, open-source system that whistleblowers can use to submit information to the media anonymously. SecureDrop is a project of the Freedom of the Press Foundation. Privacy Pack – A collection of links to tools to help you maintain your privacy and security online.